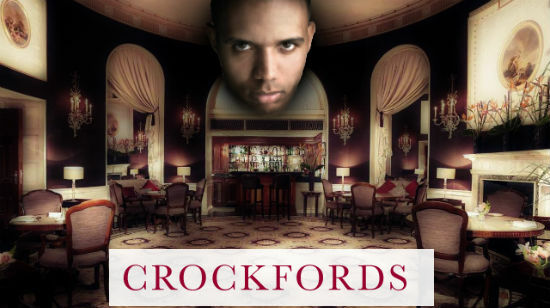 Phil Ivey will not receive his Crockfords Casino punto banco winnings, a London High Court judge has ruled in the controversial edge sorting case. Ivey had appeared in the High Court in London last week in an attempt to explain why the edge sorting techniques he has used to beat casinos at baccarat do not constitute cheating. The case at hand involves his lawsuit against Genting Casinos for their refusal to pay him £7.8 million ($12.5 million) in winnings at London’s tony Crockfords in the Mayfair district of the city. At issue was not so much what had happened in the casino, upon which both parties agreed, but as to whether or not that constituted cheating. In Ivey’s view, he was merely taking advantage of the casino’s lax procedures and practices to get the upper hand, while Crockfords maintained it was unethical play. The judge, in handing down his ruling, did acknowledge that he did not think Ivey perceived his own actions as cheating per se, and Ivey was at least grateful for that. “I am pleased that the judge acknowledged in court that I was a truthful witness. I believe that what we did was a legitimate strategy and we did nothing more than exploit Crockfords’ failures to take proper steps to protect themselves against a player of my ability. “Clearly today the judge did not agree,” Ivey added on the ruling, which his attorneys may appeal down the line. The casino was naturally happier with the outcome of the case. “Crockfords is pleased with the judgment of the High Court today supporting its defence of a claim by Mr Ivey. It is our policy not to discuss our clients’ affairs in public and we very much regret that proceedings were brought against us,” the casino said via a spokesperson. In court last week, Ivey had said that his standing in the gambling community meant that his reputation was more important to him than anything, and that he’d never cheat a casino just to win. Ivey went on to explain that he was always looking for ways to win in casinos, but that he never felt that he was cheating. Ivey’s case against Crockfords involved edge sorting, a technique that the 10-time World Series of Poker bracelet winner used to gain an advantage over the house in baccarat. Ivey was able to negotiate that the casino use a particular brand of cards that had a slight error in their cutting, such that the side borders of each card were not identical. With an accomplice, the duo then had their dealer at a private, VIP table turn some of the cards in the deck 180 degrees. This created a situation where Ivey could, by looking at the backs of the cards, know whether a particular card was low or high. While this was not enough to guarantee victory, it was enough for him to bet on the banker or player hands with a significant edge over the casino. But while Ivey says this is simply a legitimate way of gaining an edge against a casino, Genting didn’t see it that way, and refused to pay Ivey his winnings, which in turn pushed the poker pro to sue. In a related case, the Borgata Casino did pay Ivey the $9.6 million he won through edge sorting over the course of four visits to the Atlantic City casino. However, the Borgata is now suing Ivey to reclaim that money; that case has been pushed into 2015. The current trial coincided with Ivey’s recent appearance on 60 Minutes Sports. In an interview which aired on October 7, Ivey told James Brown that the edge sorting scandal was a threat to him. “Once you get ‘cheater’ next to your name, especially in my business…it’s really bad,” Ivey said.